Remember when you were a kid and every cloud looked like a cat, or a bear, or your Uncle Louie? 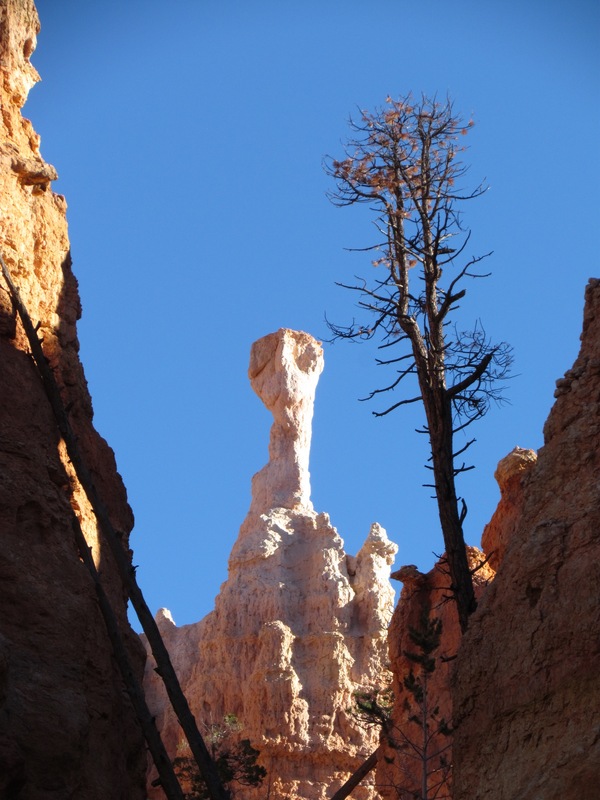 You can play a similar game at Bryce Canyon National Park, where the awe-inspiring Bryce Amphitheater is filled with towering “hoodoos” in a seemingly endless variety of shapes and sizes. 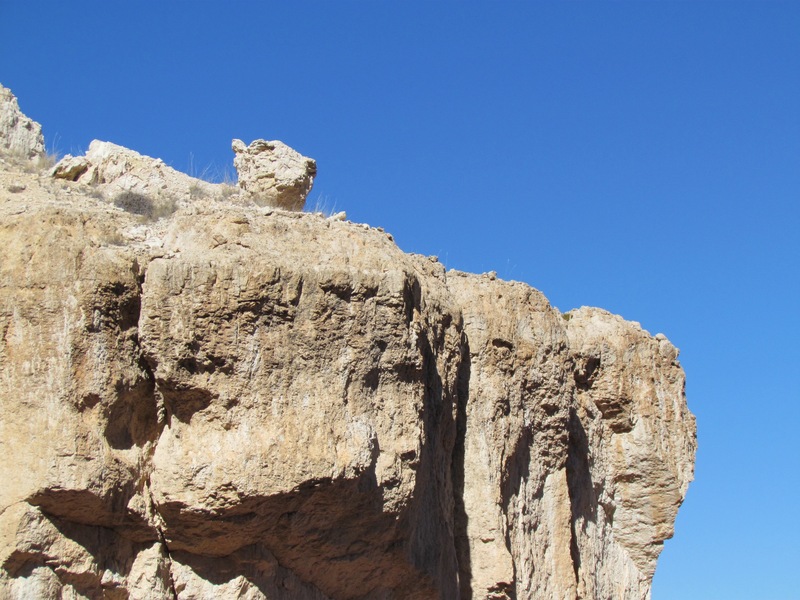 The Paiute Indians believe the hoodoos are the bodies of the “legend people,” turned to stone for their misdeeds, and it’s easy to see why: you can see faces and limbs in many of these eroded “fairy chimneys,” with their cap rocks that often resemble heads. 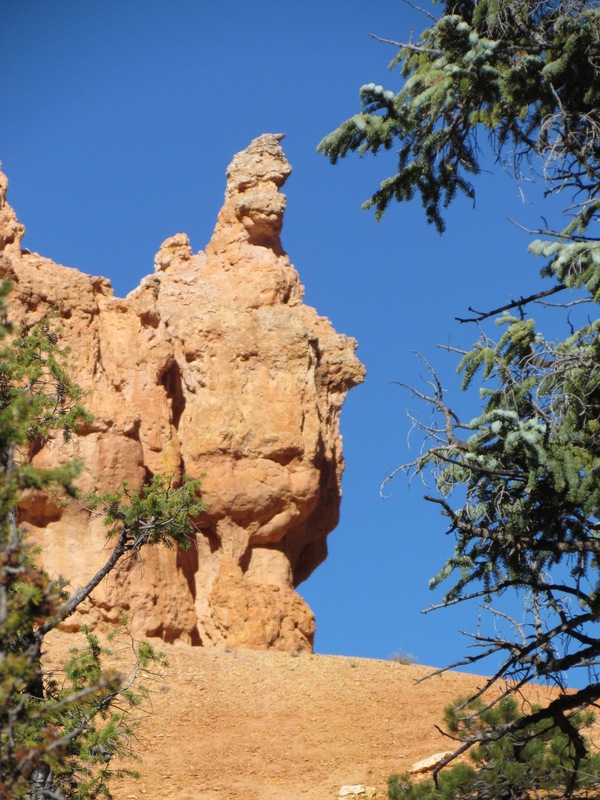 A relative handful of Bryce’s hoodoos are named: Queen Victoria being the most famous, but also “The Chessmen” and “The Poodle” have captured the fancy of visitors over the years. 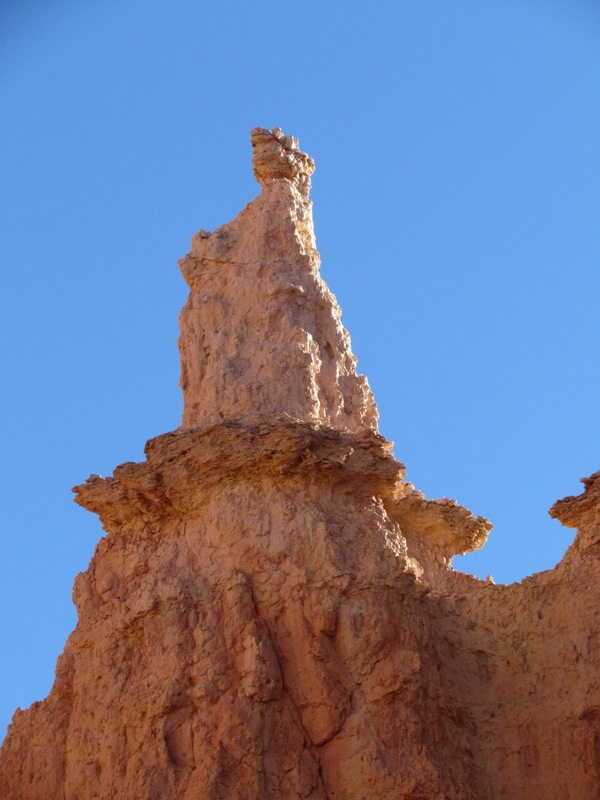 Still, that leaves countless other hoodoos waiting to be explored by your mind’s eye, whether you’ve got children along for the easy hike down the Queen’s Garden trail (Fodor’s recently named Bryce one of the top National Parks for kids) or you’re just a kid at heart. Speaking of the queen, it’s not hard to imagine that this particular hoodoo on the floor of the amphitheater reigns over her stony minions from her white throne. Simba on Pride Rock, perhaps? To our eyes, though, many of the hoodoos and other rock formations are more whimsical than majestic: an alien here, a Homer Simpson there. We saw a lizard’s mouth in a cave opening, and — appropriate to the season — a Halloween jack-o-lantern in an orange cliff face. Like the clouds, the hoodoos can be pretty much whatever you want them to be, adding another element of fun to a hike in one of America’s most mind-blowing national parks!